In today’s hyper commoditized world, personalized digital experience is the only way to delivering a superior customer experience. In fact, according to a recent study by Business Insider, about 80% of customer interactions will be managed without human interference by 2020. Many online businesses have already started using the intelligent recommendation feature with the help of AI to better understand what their target audiences and customers are thinking. But, can you use AI everywhere? What are the areas you can improve by using AI? We have consolidated a list of 9 areas where AI powered personalization could be used in eCommerce. We have seen that customers often leave an eCommerce site because the site displays product results that are not relevant to their search. With the help of Natural Language, this issue can be tackled. 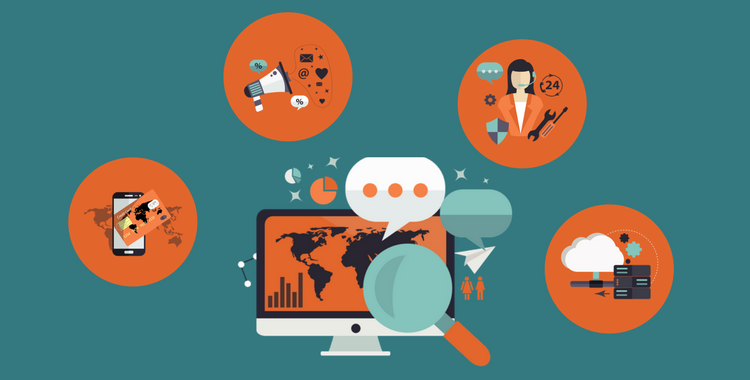 Natural Language Processing (NLP) helps to improve search results by contextualizing and narrowing down search. AI also helps in tagging, organizing and visually searching content via labeling image/video features. For instance, Ai.mojo from WordPress uses AI to provide tags to all elements of a web page based on certain attributes. We have observed that a lot of potential customers fall through the cracks because companies are not able to follow them up. Apart from this, there are these chunks of customer data lying with eCommerce businesses, which - if utilized - could be used to enhance the sales cycle. 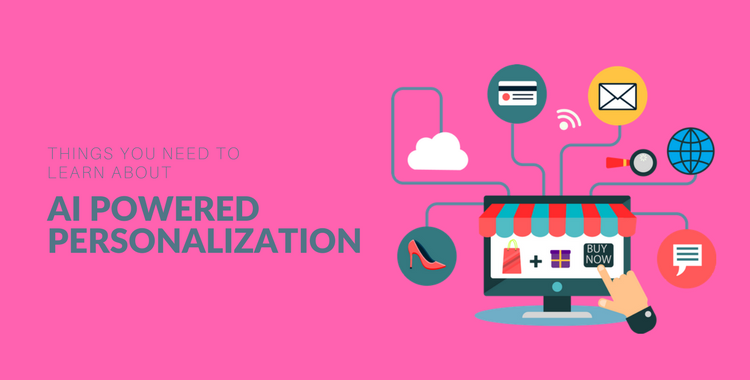 For Magento and WooCommerce merchants, there is tremendous scope for personalization with the help of AI powered automated emails like the one we have here at Perzonalization. Our AI powered personalization tools help in reminding customers of the items left in their carts, the items they viewed without a purchase or items from the categories they previously liked. Integrating AI to your CRM will allow you to customize your problem areas to give you more specific solutions. Your CRM can then answer customer queries, solve their problems and identify new opportunities for your sales and marketing teams. This will go on to solve the problem of suggesting inappropriate or relevant products to your shoppers. Mintigo provides AI solutions for marketing, sales and CRM systems by offering predictive intelligence and contextual sales messages. With AI powered eCommerce personalization, your marketing can take a multi-channel approach. Be it a mobile application, an email campaign or your website – you can continuously monitor your store to get to a universal customer overview. This in turn will allow you to deliver a seamless customer experience across multiple platforms and devices. So, next time a customer is looking for a particular shoe on your store, a simple push notification on her phone can inform her of a discount that she can avail on the product. She can then directly buy the shoe on her mobile app, saving time and a lot of steps for both the buyer and the seller. An example to that is Boomtrain that sits on top of the multiple customer touch points to help eCommerce retailers deliver a seamless customer experience across all platforms. With the help of AI features such as chatbots, online retail is being further revolutionized with their ability to deliver a personalized shopping experience to the customer. Brands are now engaging directly with customers, taking orders and feedback through messaging platforms like Facebook Messenger and Kik with the help of chatbots. Amazon’s Alexa and Alibaba’s Tmall Genie are talking to customers without requiring any typing. Client Relations Factory is an amazing chatbot from WordPress that is also an animated character interacting with your customers in an autonomous way. Another effective way of optimizing AI for personalization is to utilize the customer data collected by the eCommerce store to deliver real-time and personalized incentives. Personalized incentives have been seen to carry unlimited potential to optimize sales conversions, improve user engagement on the website, and boost profitability from each transaction. AI helps you learn know on how to effectively capture relevant data and utilize it. Rewardify is an excellent plugin for Shopify customers which lets eCommerce owners to manage store credit accounts for your customers centrally, compatible across Shopify POS, Online, and Draft Orders. Traditionally, email marketing has been proven to show fascinating results for eCommerce. With the use of AI, it should not be surprising to see that this marketing channel will do wonders and help marketers understand what resonates best with their audience. From subject line optimization, to optimizing send times, AI can have a meaningful impact on clicks and open rates. With the help of AI, marketers can now put an estimate on how an image inserted in an email will be received by audiences with the help of certain algorithms. This level of personalization wouldn’t be possible without AI. Our very own Automated email marketing solutions at Perzonalization is powered by AI, and uses real time predictive technologies, compatible with any ESP. Concepts such as personalization, AI and big data were earlier perceived in the context of enterprise-level online retailers only because they used to be accompanied by factors such as big budgets, huge R&D costs, long integration projects and skyrocketing vendor budgets. 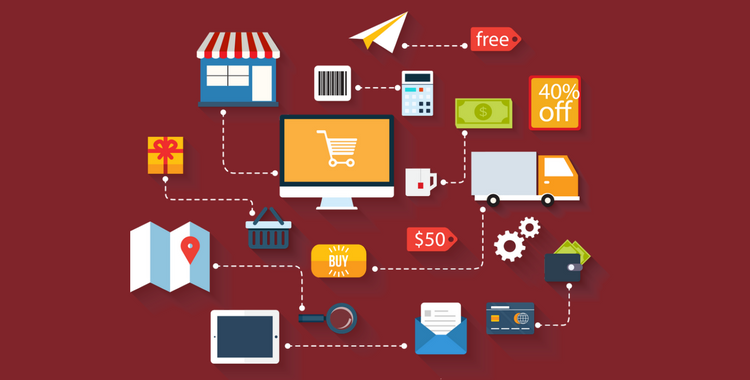 However, in the light of the recent developments in technology, it is now possible to fully equip the SMB online retailers with AI powered personalization tools that work on cloud and offer affordable monthly subscription. The Valkyrie AI, a plugin for Magento, enables SMBs to sell on multiple channels, streamline inventory and several other backend processes with a simple installation. With the help of predictive analytics, AI is now likely to take over concepts such as understanding and prediction, which was hitherto left to human judgment. With the pattern recognition technology used by Predictive Analytics, one can now detect patterns in data, and AI programs can be subsequently fine-tuned to display these findings to merchandisers to act upon. Kindred Posts is a great plugin that works like an analytics tool that tracks the behavior of your customers and lets you know what works and what doesn’t. It is natural that the more data you have about your customers, the more you can push the envelope for increased revenue. Using AI to leverage customer data can lend a competitive advantage to any online retailer. Everything from collecting, analyzing and interpreting data becomes a successful reality with AI. This is one technology that is capable of housing millions of data points and creating reports in a matter of seconds–to reveal what is working and what is not. All of this helps eCommerce businesses to optimize their offerings and increase revenue and sales numbers. Ilke Karabogali is the co-founder of Perzonalization; a SaaS predictive personalization engine that is used by small and medium sized eCommerce businesses. She is a regular writer and a digital marketing enthusiast.